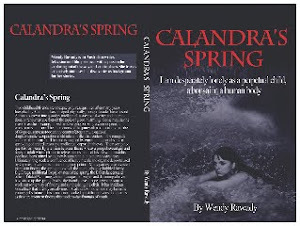 It's really nice when people make comments about 'Calandra's Spring' and I thank them and hope that others will do the same. Hard process, letting people know my 'baby' is out there! I go through all kinds of emotions - terror that the manuscript may have had typos (it apparently has 12 - a friend counted them and that is way better than Mark Twain had :-) ). But mostly, I am happy that I published my book. Even if it is just for Kindle. Actually, I am pleased about that as I am against the use of paper and love reading my Kindle.